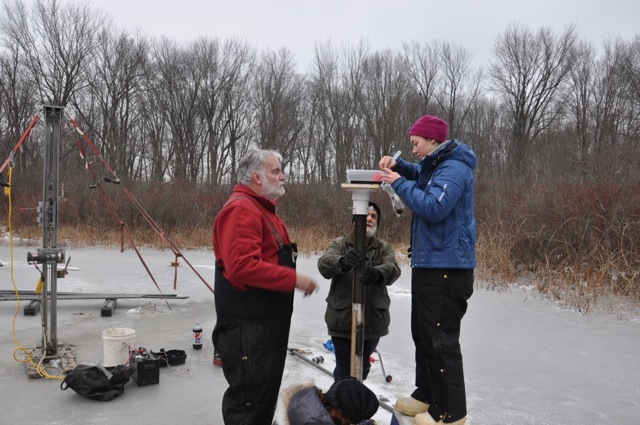 Dr. Lowell and a crew from the University of Cincinnati spent thee days with us on the ice at Browns Lake Bog. 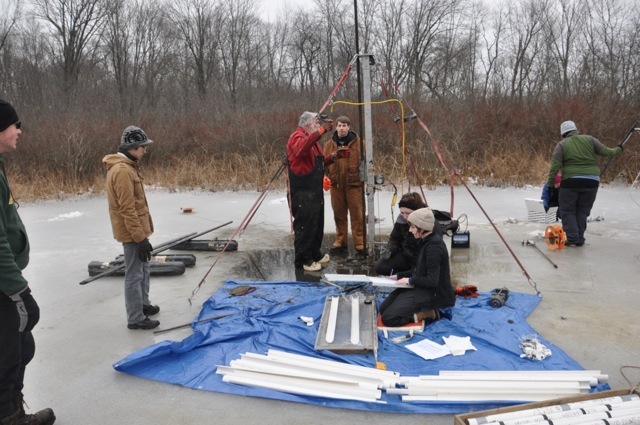 The objectives were to take a series of long cores from the ice platform at the bog and, in the big lake, to take a short surface core that the Wooster Geomorphology class will study. 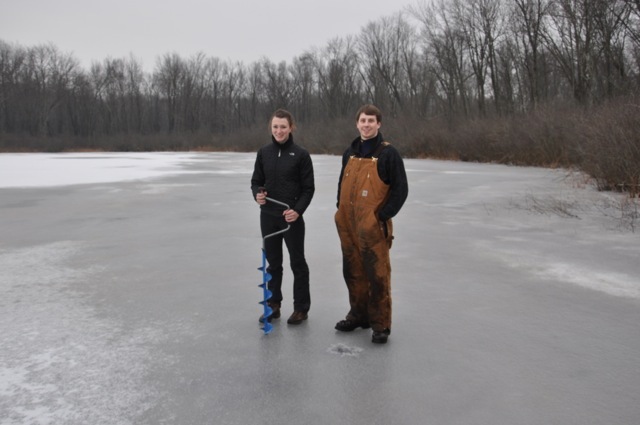 In addition we installed a series of four nested monitoring wells in the sediments around the lake. 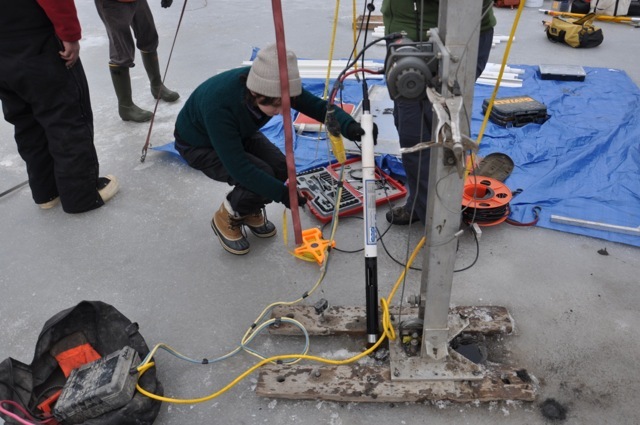 The coring crew taking the deep core – about 24 meters in two meters of water depth. 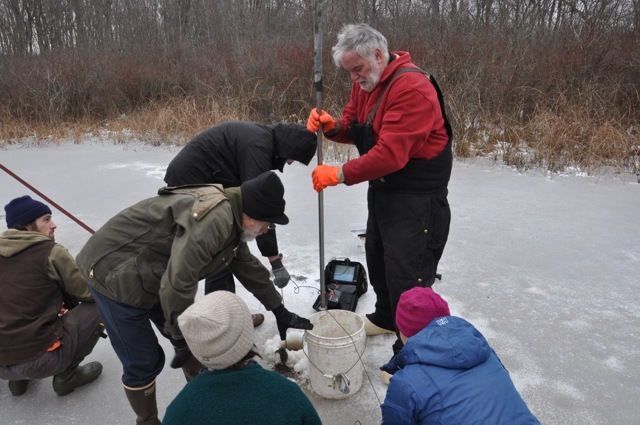 The sediment-water interface on TV – note the screen on the ice that helped guide the coring process to be sure the actual sediment-water interface was captured. Subsampling the upper core to be sure the modern sediments at the interface were in the bag. 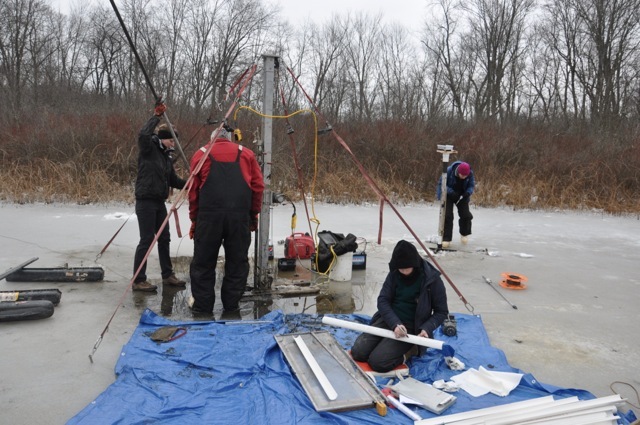 Measuring dissolved oxygen, pH, TDS, ORP and Temperature along a depth profile. 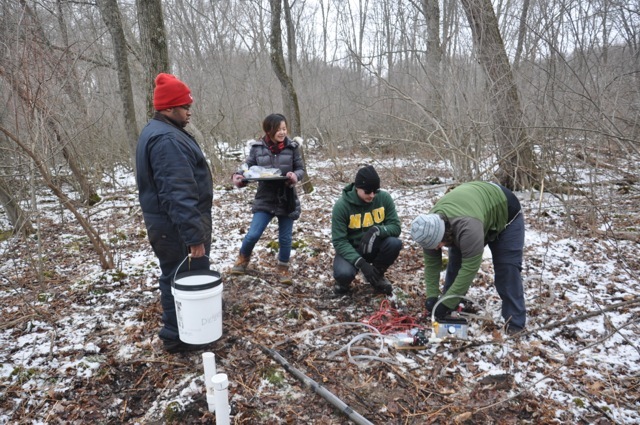 Measuring the same parameters in four sets of nested monitoring wells – one deep, one shallow. 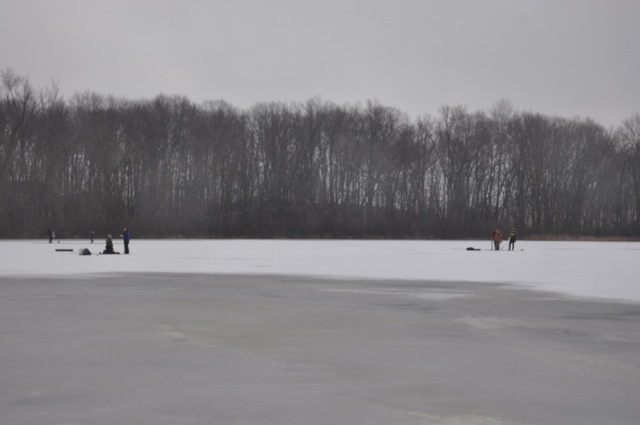 Drilling holes in the ice along grid and measuring depth profiles in the big lake. 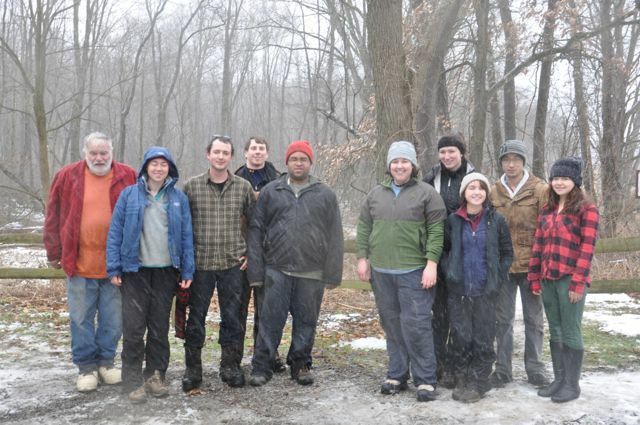 One of the ice hole teams. 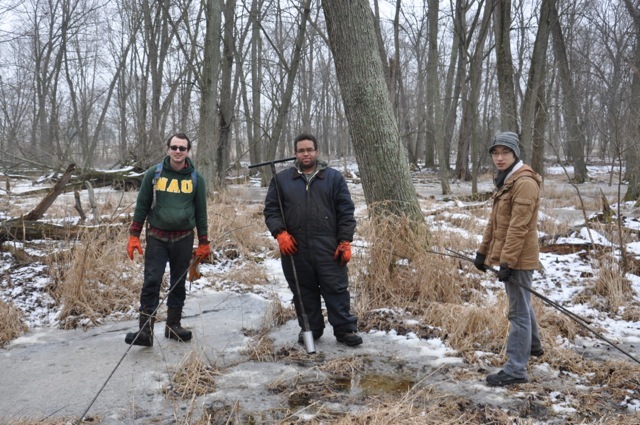 The mud probing team – not a glamorous job but necessary. 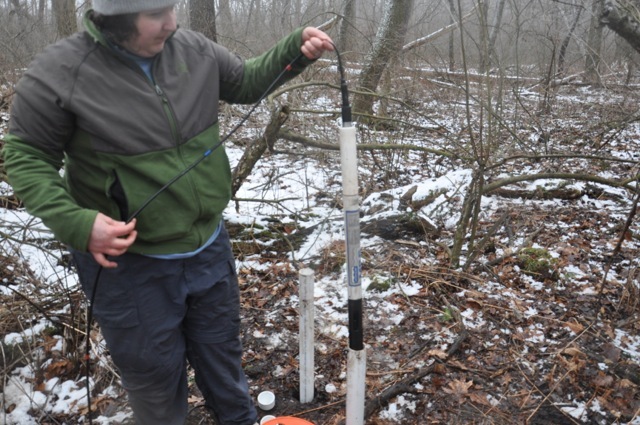 Measuring the water levels in the well after bailing. 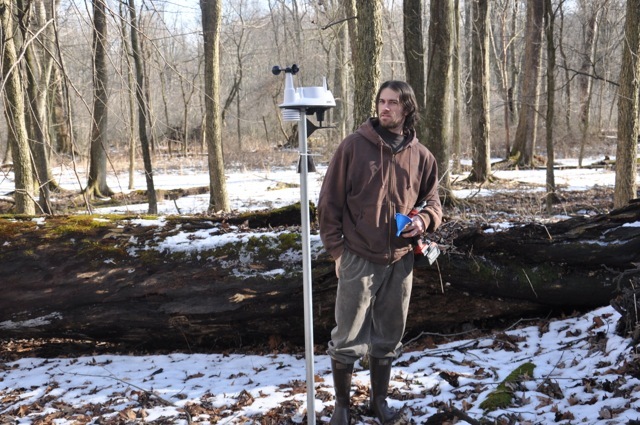 The weather station installed at the bog. 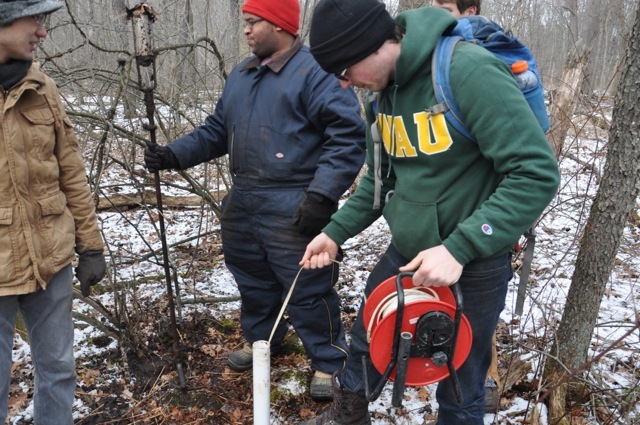 Drilling a series of holes to act as a screen in the monitoring wells. 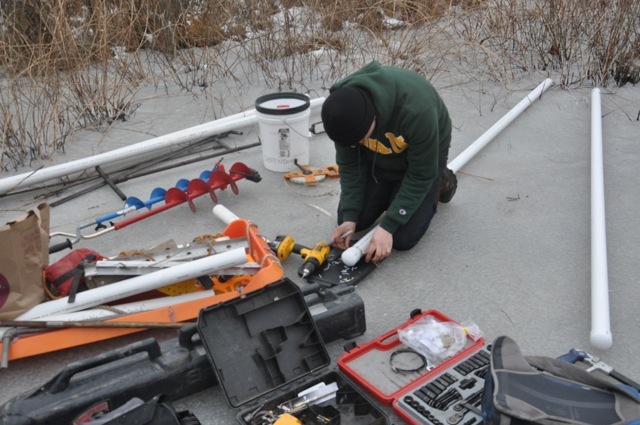 Pumping the wells for isotope samples and installing a transducer to keep track of water levels. 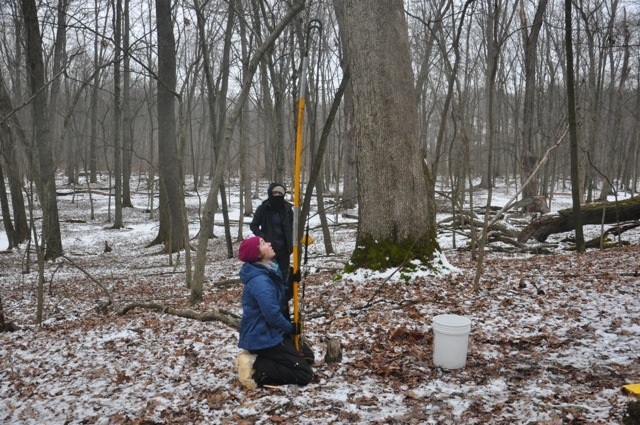 Erika takes aim at the upper branches of a white oak – she will extract the water from these twigs and buds and measure their isotopic composition. 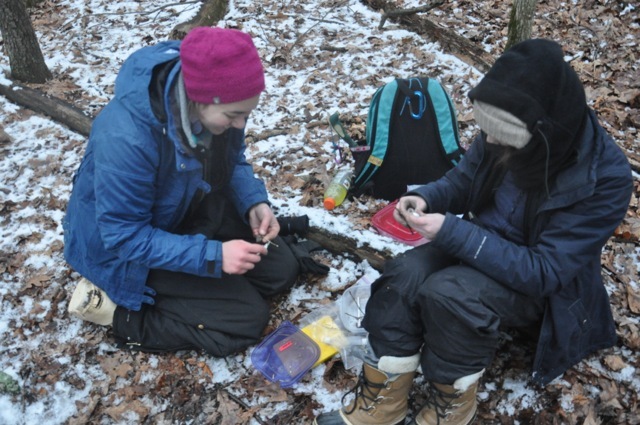 Pealing the twigs and bagging them up for transport. 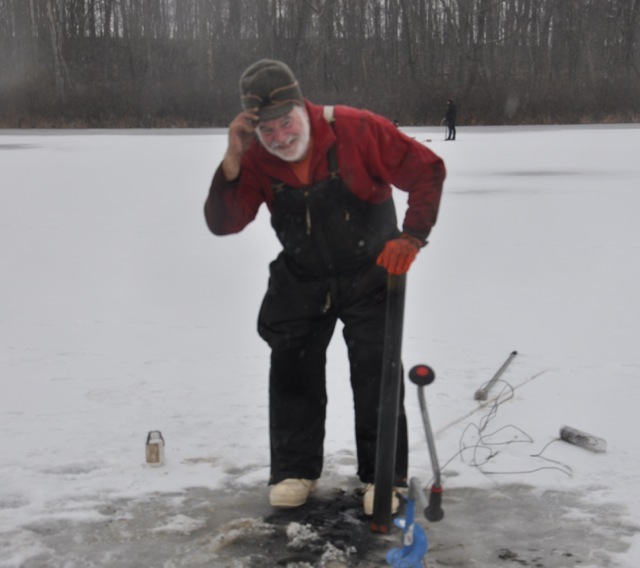 Tom recovering the surface core from the middle of Browns Lake – the big lake. Now the ball is in our court to do some analysis. Great thanks go out to the Core Boss and his crew.